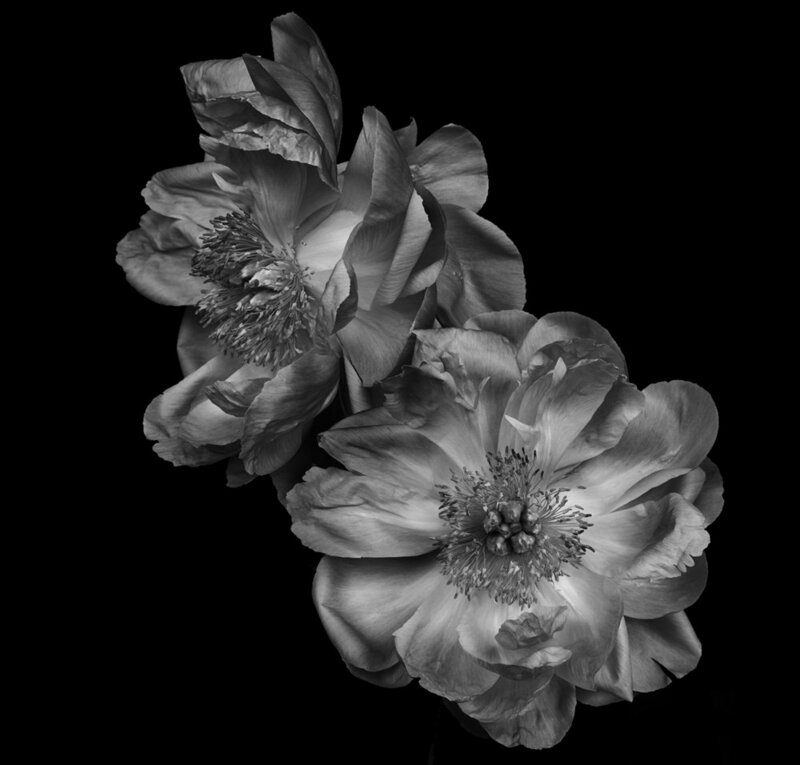 The main subject of this body of work is the Peony. Signifying abundance, beauty and honor in its native China, the peony was also seen as a symbol of shame and bashfulness in the West during the Victorian era because it was rumored to hide the figures of nymphs within its folds. Barbe’s peony compositions range from the sweet vitality of an individual bloom to the extravagant and passionate color explosion of a group arrangement...Alternating between both a bright white and a crisp black background, the artist is able to visually isolate and celebrate the formal elegance of the subject––the lush bend of a flower’s head from its spine, the velvety look of their petals, the one-of-a-kind occurrence of their coloring.